英文摘要：It is very difficult to distinguish and define the distribution of various species in the genus Polypedates owing to their superficial morphological similarities, wide distribution, and partial sympatry. Although the distribution of Polypedates species has been verified on Hainan Island, systematic surveys of species diversity and species-specific distribution in this area are still limited. Moreover, the existence of cryptic species is also not clear. In this study, 256 Polypedates specimens were collected during July 2015 to July 2017 from 30 selected geographical populations based on the topographic characteristics of Hainan Island. By comparing the morphological characteristics of 115 adult specimens and phylogenetic relationships, only P. megacephalus and P. mutus were confirmed to occur on Hainan Island. In addition, no cryptic species was found. P. megacephalus was found to be widely distributed throughout the island, while P. mutus only occurred in the middle and southern mountains. As determined by molecular identification, the differences in the following morphological characteristics were found to be suitable for distinguishing the 2 species:body size, presence of spots on the sides and reticulate patterns in the latter half, reticulate patterns in the posterior part, tibial tarsal joints stretch to the eye, and nostrils drawn into a snout. These stable and typical morphological characteristics can be used to accurately distinguish P. megacephalus and P. mutus. 费梁, 胡淑琴, 叶昌媛, 等. 2009. 中国动物志 两栖纲(中卷)无尾目[M]. 北京:科学出版社. 费梁, 叶昌媛, 黄永昭, 等. 2005. 中国两栖动物检索及图解[M]. 成都:四川科学技术出版社. 费梁, 叶昌媛, 江建平. 2012. 中国两栖动物及其分布彩色图鉴[M]. 成都:四川科学技术出版社. 刘承钊, 胡淑琴. 1961. 中国无尾两栖类[M]. 北京:科学出版社. 史海涛, 赵尔宓, 王力军. 2011. 海南两栖爬行动物志[M]. 北京:科学出版社. 杨大同, 饶定齐. 2008. 云南两栖爬行动物[M]. 昆明:云南出版集团公司和云南科技出版社. 中国两栖类. 2018. 中国两栖类信息系统[EB/OL]. (2018-03-23)[2018-04-12]. http://www.amphibiachina.org/. Brown RM, Linkem CW, Siler CD, et al. 2010. Phylogeography and historical demography of Polypedates leucomystax in the islands of Indonesia and the Philippines:evidence for recent human-mediated range expansion?[J]. Molecular Phylogenetics & Evolution, 57(2):598-619. Frost DR. 2017. Amphibian species of the world:an online reference. Version 6.0[EB/OL]. (2017-12-20). http://research.amnh.org/herpetology/amphibia/index.html. Hallowell E. 1861. Report upon the reptilia of the North Pacific exploring expedition, under command of Capt. John Rogers, U. S. N.[J]. Proceedings of the Academy of Natural Sciences of Philadelphia, 12:480-510. Inger RF. 1966.The systematics and zoogeography of the Amphibia of Borneo[J]. Field Museum of Natual History, 52(2):1-402. Inger RF. 1999. Distributions of amphibians in southern Asia and adjacent islands[M]//Duellman WE. Patterns of distribution of amphibians:a global perspective. Baltimore:John Hopkins University Press:445-482. Kuraishi N, Matsui M, Hamidy A,et al. 2013. Phylogenetic and taxonomic relationships of the Polypedates leucomystax complex (Amphibia)[J]. Zoologica Scripta, 42(1):54-70. Kuraishi N, Matsui M, Ota H, et al. 2011. Specific separation of Polypedates braueri (Vogt, 1911) from P. megacephalus (Hallowell, 1861) (Amphibia:Anura:Rhacophoridae)[J]. Zootaxa, 2744:53-61. Li JT, Che J, Bain RH, et al. 2008. Molecular phylogeny of Rhacophoridae (Anura):a framework of taxonomic reassignment of species within the genera Aquixalus, Chiromantis, Rhacophorus, and Philautus[J]. Molecular Phylogenetics & Evolution, 48(1):302-312. Li JT, Che J, Murphy RW, et al. 2009. New insights to the molecular phylogenetics and generic assessment in the Rhacophoridae (Amphibia:Anura) based on five nuclear and three mitochondrial genes, with comments on the evolution of reproduction[J]. Molecular Phylogenetics & Evolution, 53:509-522. Liu CC, Нu SQ, Yang FH. 1960. Amphibia of Yunnan collected in 1958[J].Acta Zoologica Sinica, 12:149-174. Liu CC. 1950. 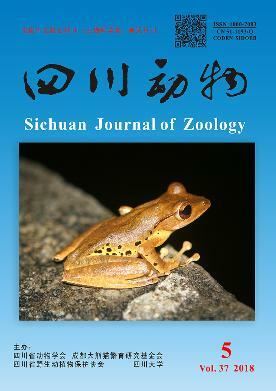 Amphibians of west China[J]. Chicago:Zoology Memoirs. Matsui M, Seto T, Utsunomiya T. 1986. Acoustic and karyotypic evidence for specific separation of Polypedates megacephalus from P. leucomystax[J]. Journal of Herpetology, 20(4):483-489. Pan SL, Dang NX, Wang JS, et al. 2013. Molecular phylogeny supports the validity of Polypedates impresus Yang 2008[J]. Asian Herpetological Research, 4:124-133. Pope CH. 1931. Notes on amphibians from Fukien, Hainan, and other parts of China[J]. Bulletin of the American Museum of Natural History, 61(8):397-611. Riyanto A, Mumpuni, Mcguire JA. 2011. Morphometry of striped tree frogs, Polypedates leucomystax (Gravenhorst, 1829) from Indonesia with description of a new species[J]. Russian Journal of Herpetology, 18(1):29-35. Sheridan JA, Bickford D, Feng K, et al. 2010. An examination of call and genetic variation in three wide-ranging southeast Asian anuran species[J]. Raffles Bulletin of Zoology, 58(2):369-379. Smith MA. 1940. The amphibians and reptiles obtained by Mr. Ronald Kaulback in upper Burma[J]. Records of the Indian Museum, 42:465-486. Stejneger L. 1925. Chinese amphibians and reptiles in the United States National Museum[J]. Proceedings of the United States National Museum, 66(2562):1-115. Vogt T. 1911. Beitrag zur Amphibien-fauna der Insel Formosa[J]. Sitzungsberichte der Gesellschaft Naturforschender Freunde zu Berlin, 1911:179-184. Zhao EM, Adler K. 1993. Herpetology of China[M]. Oxford:Society for the Study of Amphibians and Reptiles.